Personalized Boat Totes Custom Printed in Bulk or Blank. @ Sizes: Large and Extra Large. Promotional, Inexpensive. Budget Prices in the USA and Canada. 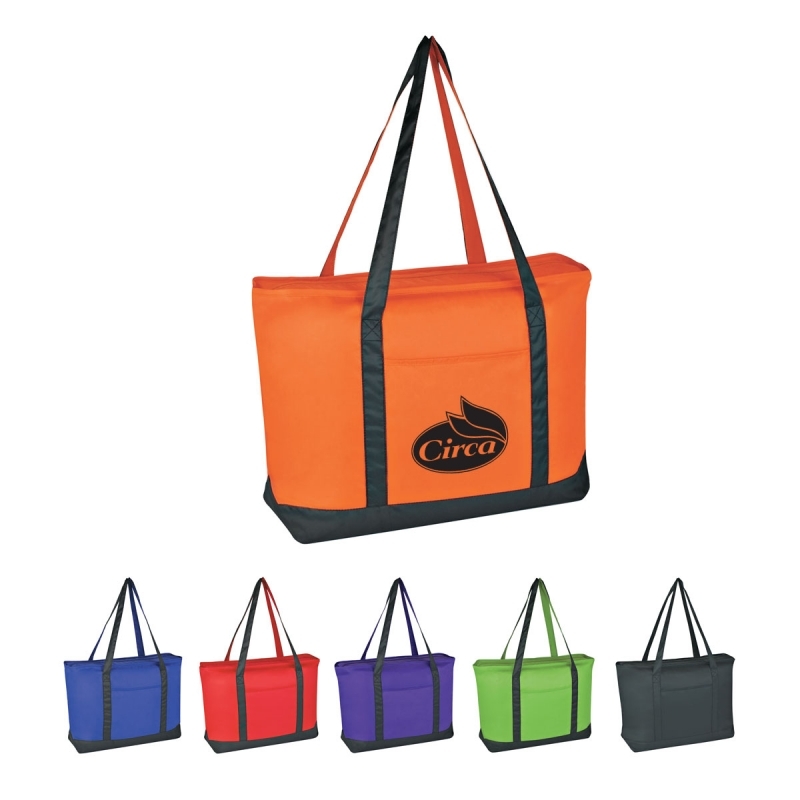 Wholesale advertising Large and Extra Boat Totes made of 210D Polyester. Lowest cost in North America. Free Art Design. American Clients pay no taxes. Embroidery Tape: $100.00 for new orders. Free embroidery tape for orders of 100 embroidered extra large boat totes or more. Embroidery up to 5000 stitches is included in price. For designs exceeding 5000 stitches, please add $0.35 per each additional 1000 stitches, per embroidered extra large boat tote. 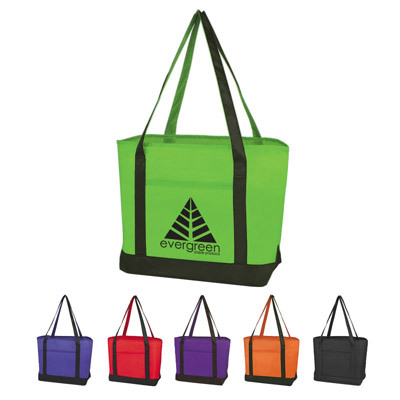 Color Available: Royal Blue, Red, Purple, Lime Green, Black or Orange, all with Contrasting Black Handles and Black Trim. Embroidery Tape: $100.00 for new orders. 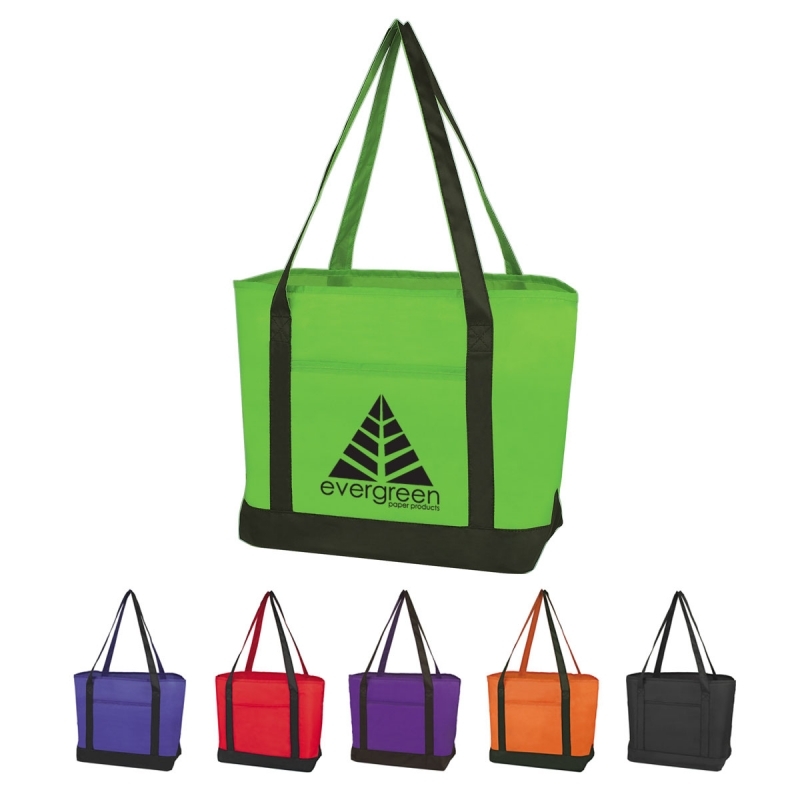 Free embroidery tape for orders of 100 embroidered large boat totes or more. Embroidery up to 5000 stitches is included in price. For designs exceeding 5000 stitches, please add $0.35 per each additional 1000 stitches, per embroidered large boat tote.